Mankind has a "50/50" chance of finding evidence of life on Mars within the next three years, scientists working on the forthcoming rover mission predict. The team conducting trials for the ExoMars robot said plans to excavate deep below the Martian surface for the first time dramatically improved the odds of discovering past or present extraterrestrial life. Previous missions have mainly analysed surface rocks and topsoil. 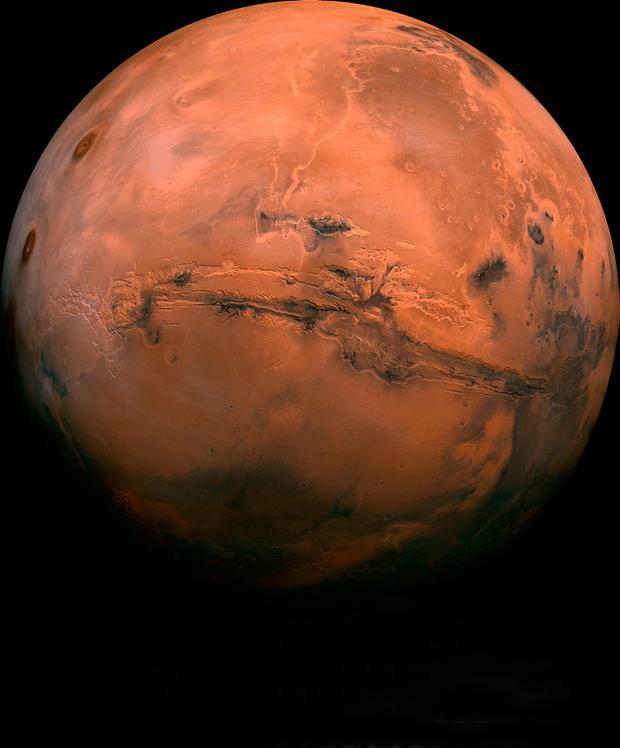 However, scientists believe the Red Planet's thin atmosphere and corresponding intense radiation mean all but deeply hidden evidence of life will have been eradicated. By contrast, a European Space Agency (ESA) craft, due to launch in 2020 and arrive the following year, will be fitted with a two-metre drill. ESA's first Mars rover, will also carry state-of-the-art lasers that can detect the presence of DNA by analysing the way molecules of dirt vibrate. Dr Susanne Schwenzer, the team's astrobiologist, said: "The chances are just about 50/50... We are going to a very, very interesting spot." Dr Ben Dobke, the ExoFit project director, said: "If you're going to find microbial evidence of life, it's probably underneath the surface." Once on Mars, the solar-powered rover will attempt to navigate the rocky surface, excavate soil and relay other observations for a minimum of 90 days. Operating with a 20-minute delay, as it is being directed by mission control in Harwell, Oxfordshire, in England, ESA will attempt to position the rover towards the edge of regoliths, areas of unconsolidated soil on bedrock, to obtain the best samples. Mark Shilton, the Airbus engineer commanding the prototype rover, said: "It's not like driving a car. There's quite a complex software chain involved and it's extremely slow and methodical. The challenge is that often the most interesting locations for the geologists are the hardest for the rover." With a 3.5cm-per-second top speed, the rover has an array of cameras mounted on a mast above it, while it also has ground-penetrating radar. Among the most sophisticated of the instruments is the RAMAN laser spectrometer, a technology never before sent to Mars, that can determine the chemical bonds of molecules by the way they move. The ultimate prize for ExoMars would be evidence of DNA, which would amount to proof that life exists on the Red Planet, or once did. 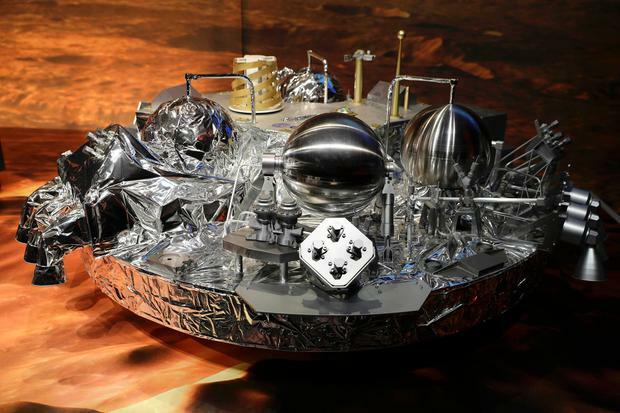 But if it sends back evidence of other organic molecules, the ESA scientists will have to try to determine whether they are indigenous to Mars or arrived via an asteroid. Blasting off from Earth around the same time in 2020 will be a rival Nasa mission, named Mars 2020. Unlike ExoMars, the US probe will have a potential operating period of years because it will be powered by a nuclear cell. It will also carry a drill to excavate soil to be transported back to Earth by a future ESA-Nasa Mars "sample-return" mission.